You are here: Home / Tours and Live Performances / 2014 Queenbert Tour / Queen + Adam Lambert: World Tour Part 2! It was inevitable! Since receiving rave reviews from the North American/Asian/Australia/New Zealand tour – the rest of the world is hungry for the same thrill! And their appetite will be satisfied as Queen + Adam Lambert have just announced a UK and Europe tour. But don’t lose hope on Adam’s long-awaited 3rd album release. He’s focusing on that with Brian May and Roger Taylor supporting that with a well-deserved break before the concerts begin. The tour takes off January 13, 2015 in the UK. Pre-sale tickets go onsale as early as today, if you’re pre-registered at the correct sites. 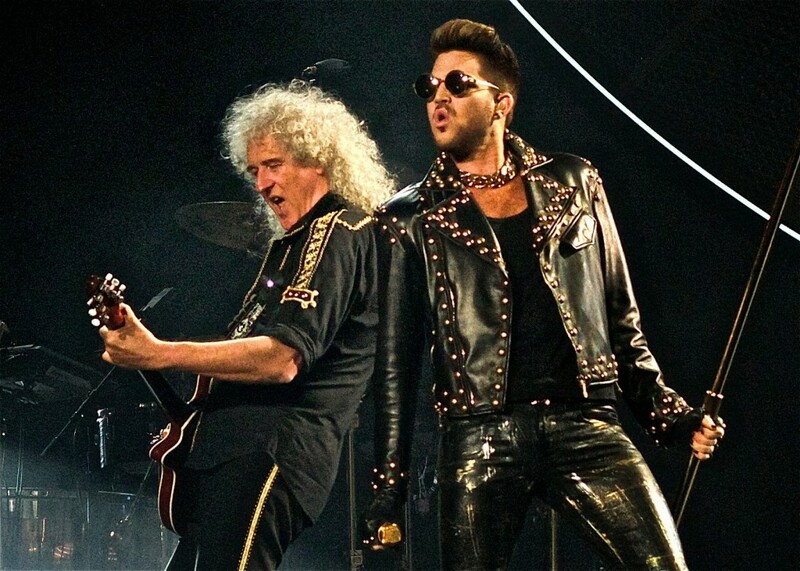 QUEEN + ADAM LAMBERT today announced they are to play an extensive tour of the UK and Europe early in the New Year. In what is certain to be among next year’s most sought out music events, Queen + Adam Lambert will reign over a six-week long set of dates across Europe beginning mid January. Having only earlier this month wound down a sold out world tour taking in North America, Australia, New Zealand, and outdoor festival stops in Korea and Japan, Queen + Adam Lambert are sparing no time in taking their critically-hailed partnership back on the road. Coming two years after May, Taylor and Lambert last performed a short tour together of the UK and Europe, this lengthier outing will see Queen + Adam Lambert perform 21 shows in 10 countries. The band’s tour opens in the UK at Newcastle Arena on January 13 and will see the band play a total of seven shows across the UK including London’s O2 Arena. The tour then takes in France, Germany, Netherlands, Austria, Belgium, Italy, Denmark, and Czech Republic and ends February 19 in Switzerland at Zurich’s Hallenstadion. Tickets for the UK shows will go on sale from 9.00am this coming Friday, 3rd October. All other concerts across Europe are on sale same time excepting Germany where sales begin the following day, Saturday October 4. Tickets available from venues and usual outlets. I am so happy that Adam gets to do what he loves and shares with the world. I agree, at 55 yrs. watching Adam through the years since Idol has made me feel like a teenager!!!! Haven’t been this totally ‘crazy’ about anyone since the Beatles, who were my very first ‘rock n’ roll’ loves. Oh, I have loved alot of rock bands and the frontman or guitarist, but no one even close to how I feel about Adam Lambert. Listening to my DVD of the Queenbert concert in Dallas right now. I got fortunate enough to go & will never, ever forget it. He is simply EXCITING!! There is simply not enough adjectives to describe how fabulous Adam Lambert is!! I saw him in Toledo for the Glamnation tour, & Detroit for the Queenbert tour. Seeing Adam live is an out of body experience you can never forget!!!!! So like, anybody know what heppenad to the winner ? XD mmm what’s his name .I KNOW this, just a sec I’m not using google! I won’t,? I know his name dammit Kyle..no chris Chris .I got it on my tongue, what’s his last name FINE, I’ll google it..Kris Allen! Yeah anybody heard of him these days? I really like this guy. ever since his idol days ive been a fan. the song is denect. as far as the cover goes, its covers like this that remind me why i make my own covers for 8/10 new albums that come out. and i use photoshop to make mine but they dont look cheap. I am happy for all those in Europe who will get to experience this Once in a Lifetime tour, it is truly an amazing concert & I am so happy I got to experience it!!!! The tour is amazing. Not surprised they’re extending it and I won’t be surprised if they do it again! Already went to 3 shows, only wish this tour wasn’t in winter, or I’d go to another 3! It diffenitely is the tour of a lifetime. I hope they put out a DVD, and do some special appearences !! I think I just accidentally deleted a comment. We get so much comment spam I have to clean it out regularly and had already hit “permanently delete” when I saw what looked like a legitimate comment. If that was you I’m so sorry! Once I approve your comment once it should stop going to spam so please comment again!